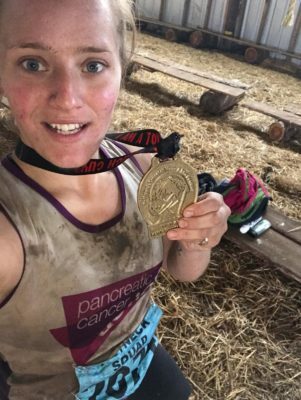 Lotti is joining #TeamPCA and taking her fathers place in the London Marathon this April. She tells us her inspiring story to fulfil his wishes and finish the race for him. We lost my father to PC aged 57 in august 2018. In 2017 Martin had requested a ballot place in the 2018 Marathon and throughout his treatment his aim was always to run one last time, he got confirmation of his ballot success and this was a driver for him. As my fathers treatment continued, he requested to run in 2019 hoping once more he could be fit enough. During his time in the Countess Mountbatten Hospice when we knew he wouldn’t be strong enough to run he had asked me, his daughter to request a transfer of his place to run on his behalf. The team at Virgin were super and allowed me to take Dad’s place and training began mid December. Now the run will be in memory of Dad/Martin Clapham and funds raised for PCA our chosen charity from day one. Supporting a charity who focus on pancreatic cancer is important to me, I knew nothing of this disease before my father was diagnosed. Unfortunately, I’ve now learnt of so many more friends who have been affected. I hope we can learn more about this disease with more research, preventative medicine and a better prognosis and therapy for those affected. I hope there will be no future for pancreatic cancer! Good Luck Lotti, we are so pleased to receive your support and fundraising efforts! We can’t wait to cheer you over the finish line in April!